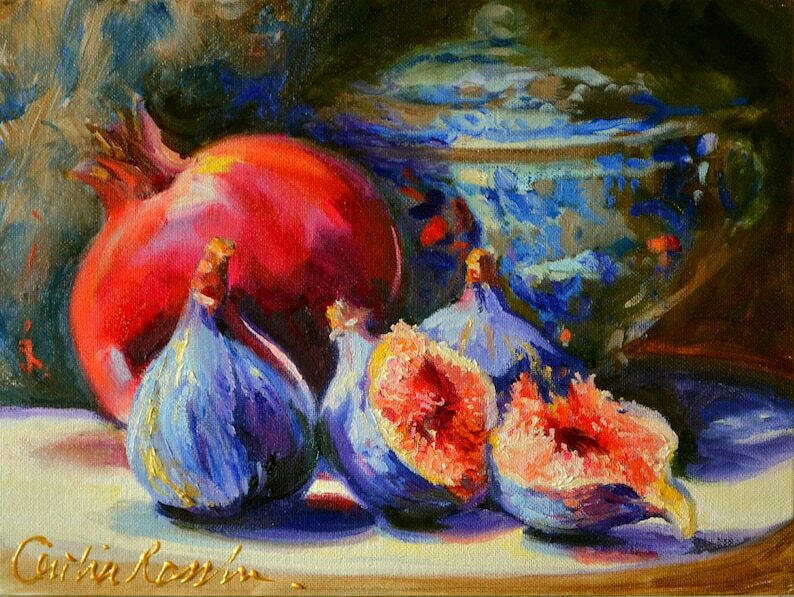 This still life painting of POMEGRANATES AND DELFT is such a vibrant art work of this classic fruit and old Dutch porcelain. I just got my 4 special request paintings, they were packaged beautifully and the colors are perfect. I cannot wait to get them framed! 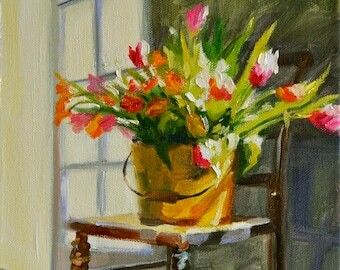 I love this painting! The pink chair is my favorite part. (: Thank you for sharing your talent !! Smiles, H.
Yellow and Blue ART PRINT of 'N SUURLEMOEN | Iceberg Roses and Delf Porcelain Still life Paining by Cecilia Rosslee | Gift for her! 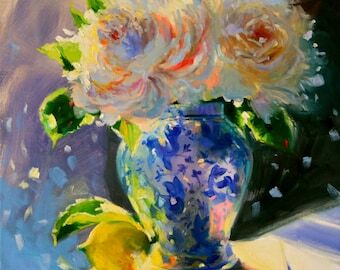 Yellow and Blue INSTANT DOWNLOAD of 'N SUURLEMOEN | Iceberg Roses and Delf Porcelain Still life Painting by Cecilia Rosslee | Gift for her! Wonderful, I’m really happy with this print!